The leading candidate MVP is the new face of adidas Basketball. Check out the best sneakers he wore this season. What a year it's been for Chicago Bulls point guard Derrick Rose. Coming off a summer in which he helped Team USA recapture World Championship Gold, the expectations weren't incredibly high for Rose. Sure, we knew he was a highly talented player, but nobody pegged him as a legit MVP threat. It's a good thing Rose doesn't play based on our expectations, because he's been nothing short of brilliant this season. Despite key players like Carlos Boozer and Joakim Noah missing significant time with injury, Rose has led the Bulls to the best record in the league and homecourt advantage throughout the playoffs. His 25 points, 4 rebounds 7.7 assists and 1 steal per game are all career highs. He started the All-Star Game and is surely on his way to being named First Team All-NBA. The season started with buzz about the "Decision," but ends with a new superstar in the Windy City. Not only was Rose a star on the court - he shined in the world of sneakers as well. 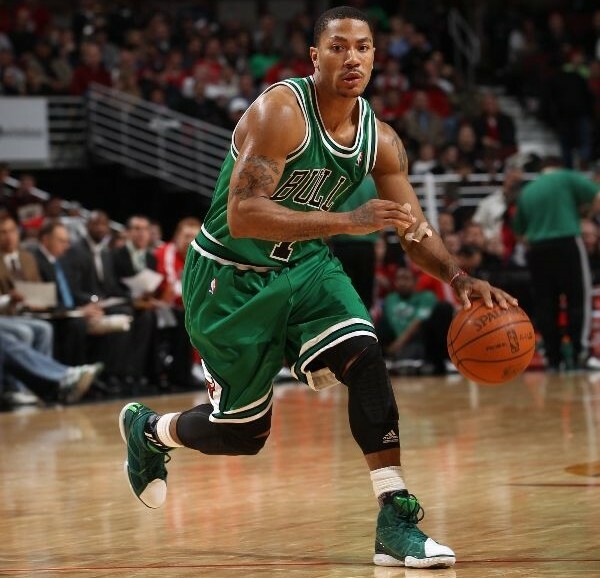 This season marked the launch of his first signature shoe, the adidas adiZero Rose. With a design inspired by flight, the lightweight sneaker features a GEOFIT padded collar for his signature ankle Speedwraps, SprintSkin supports and PureMotion technology. "Magic Eye" graphics on the tongue of the adiZero Rose are a nod to his "Poohdini" nickname. Adidas followed up the adiZero Rose by giving Derrick a second half sig, the adiZero Rose 1.5. Debuted during the second half of the 2011 All-Star Game, the 1.5 is an even lighter model that incorporates a lot of Rose-inspired symbolism into its design. Chicago Architecture is represented with a pointed vamp, while the 3 SprintSkin zones on the side panels are symbolic of his 3 brothers. Signature 3-Stripe detailing on both shoes appears on the heel because Rose said he wants defenders to see the logo as he blows by them. 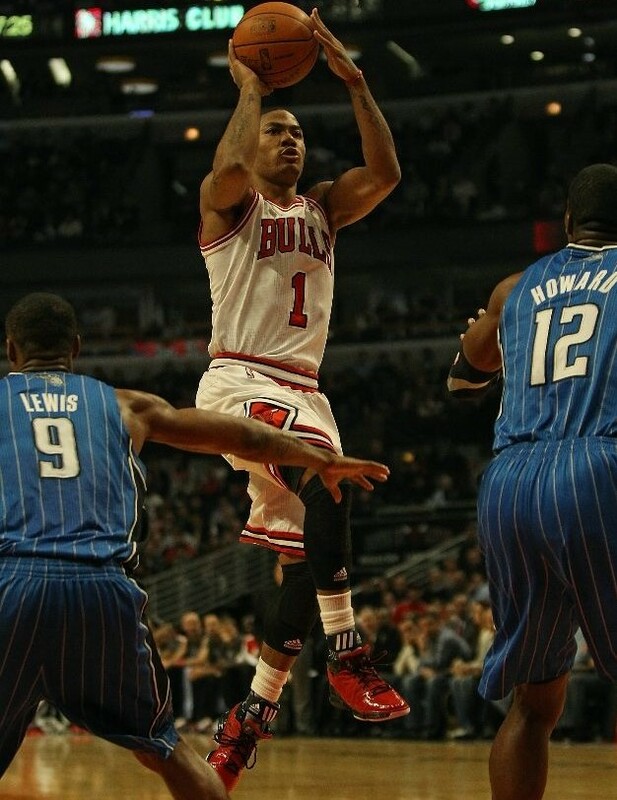 We also can't forget Rose breaking out the adidas Crazy 8 in a February game against the Miami Heat. Once he broke out the Crazy 8, the popularity of the recently released retros soared and have been flying off the shelves since. 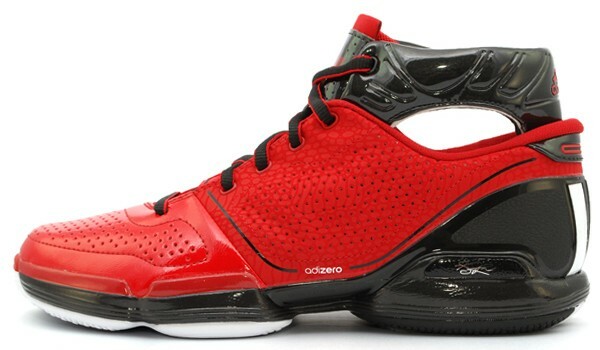 Here's a look at what I think were the Top 5 sneakers Derrick Rose wore during the 2010-2011 NBA season. Check out the list and let me know if you agree or disagree below. Also, look out for more player Top 5 lists in the coming days. 5. adidas adiZero Rose - "All-Star"
Some will argue that this shoe was a little too bright, but it's really hard to stand out too much when playing amongst the world's greatest players in sunny Los Angeles. You have to love the strategy here though. 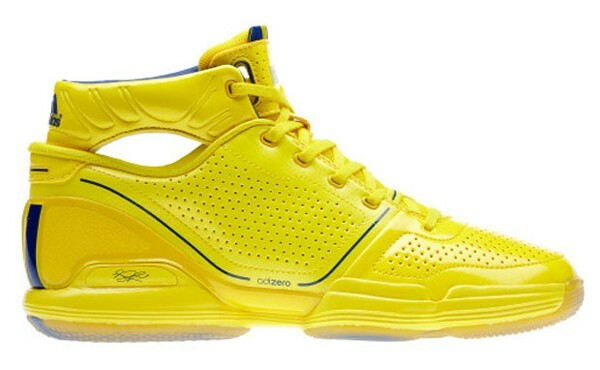 In the first half of the All-Star Game, Rose wears this easily noticeable Simeon-inspired yellow colorway of the adiZero Rose. 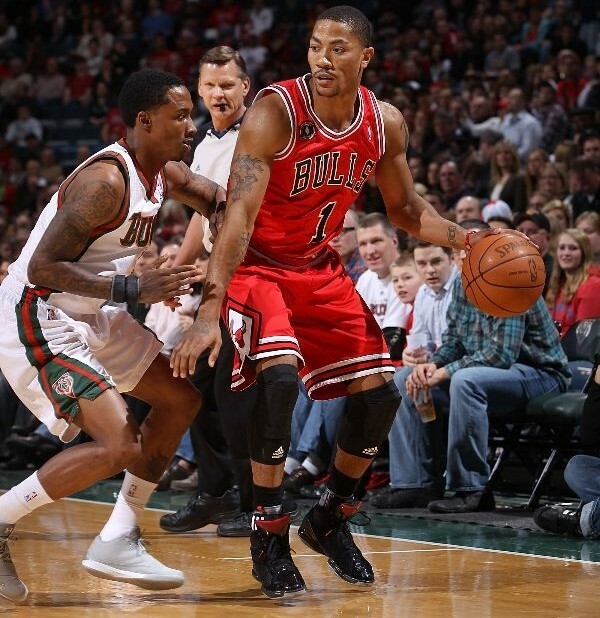 At halftime, Rose switches into the launch colorway of the adiZero Rose 1.5. Viewers at home that aren't as invested in sneakers as the rest of us are still drawn to Derrick's feet because they're expecting to see the yellow shoes he wore in the first half. Now they're left worndering what shoe he's wearing in the second. Mission accomplished: two birds, one stone. 4. adidas adiZero Rose 1.5 - "Black Patent"
The adiZero Rose 1.5 launched in the United States with a black nubuck look complimented by a white leather toebox. Back in March, adidas released the fully black leather version that was previously only made available in Europe. However, it's this black patent leather version of the 1.5 that is really leaving jaws dropped. The patent toe is paired with a black nubuck and SprintSkin upper and accented by University red and an aluminum grey rubber outsole. As of now, this look is limited to samples and Derrick Rose's stash. Lucky him. Fit for a Rose, Derrick wore this red colorway of his first signature shoe on World AIDS Day and Christmas. The shoe features a University Red upper with black detailing and white 3-Stripes on the heel. Chicago happened to lose both of those games, so maybe that explains why we didn't see this colorway hit the court more. However, when he did lace them up, they looked great. 2. adidas Crazy 8 - "Derrick Rose" / "Louisville"
This colorway was actually created for the Louisville Cardinals basketball team. 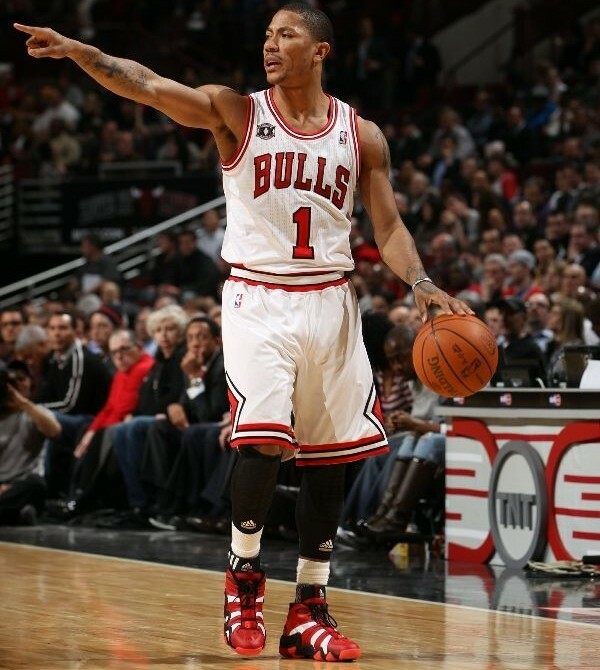 However, when Derrick Rose decided to wear them in a nationally televised game against the Miami Heat back in February, they became synonymous with the Chicago Bulls point guard. Not only did the shoes get a great reception during the broadcast of the game, but the colorway instantly sold out at retailers at Eastbay and shopadidas. Even after various re-stocks at the aforementioned sites, the shoe has continued to sell very well. 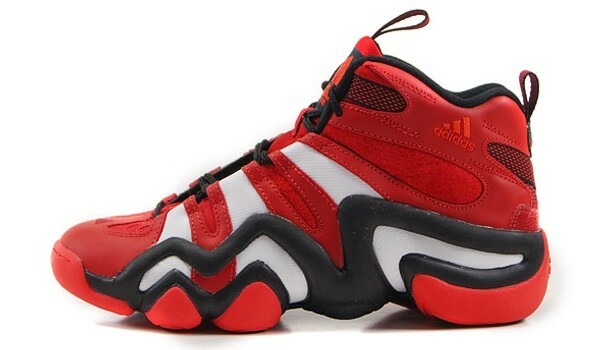 Might as well nickname them the "Derrick Rose" Crazy 8. 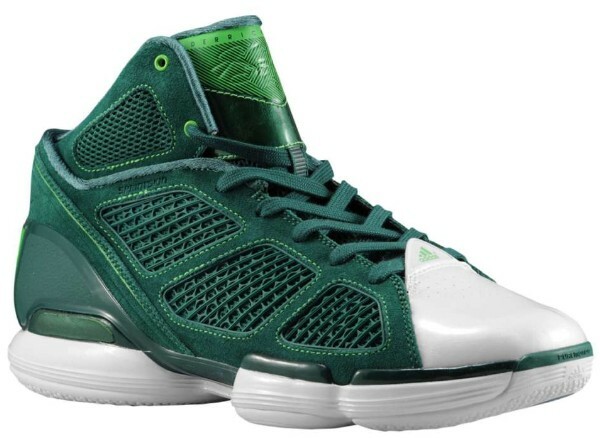 1. adidas adiZero Rose 1.5 - "St. Patrick's Day"
If you haven't added these to your collection, they're a must. Adidas gave their two signature athletes green-based colorways of their signature sneakers for St. Patrick's Day and the adiZero Rose 1.5 is an absolute standout. Featuring a plush green suede upper, the shoe is accented by a lighter shade known as Intense and contrasted with a white leather toecap. 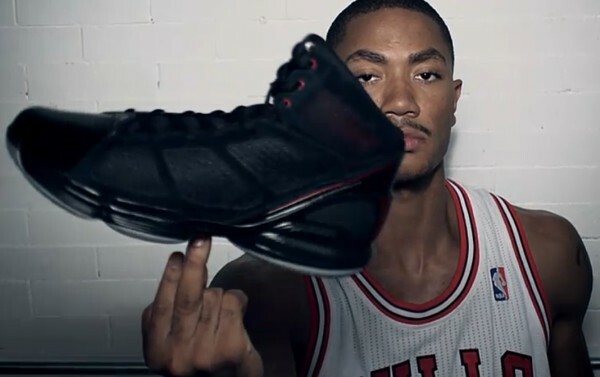 There are 4-leaf clover markings on the tongue and insole, the latter noting the day Rose was drafted by the Bulls.